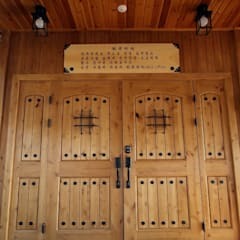 The front door is the first impression of the house. 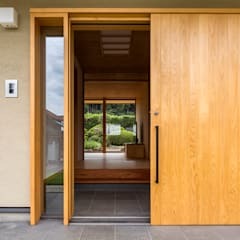 It is the main door that people will come in contact with when entering, and opens them up to the entire interior space of the house. This important fixture sets the style and tone for the home, and should match up with the other architectural and interior design of the house. 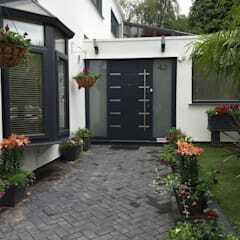 Single Doors – Single door is the simplest front door type, with one entry door opening up to the house. 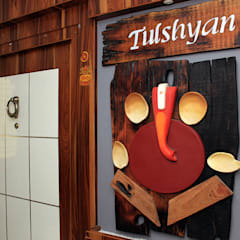 It is commonly used in homes and is an ideal choice for relatively smaller houses or apartments, as it does not occupy too much space. 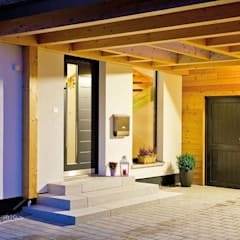 Single Doors with Matching Sidelights – Sidelights are slim and long glass windows placed on each side of the door. 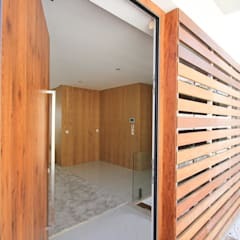 They can be placed on the left, right or both sides of the single door to expand the door view and invite light through the front of house. Sidelights are aesthetic pieces that comes in various different styles including simple glass, stained glass or decorative glass. 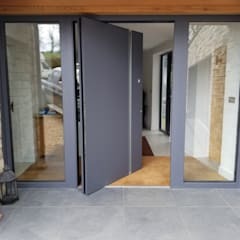 Double Doors - A double entry door consists of two doors placed side by side, the left door opening up from the right and vice versa, creating a big opening space from the middle when combined. The double door creates a grand feel to the house, and are more appropriate with a larger house with an entrance hall that is more spacious. 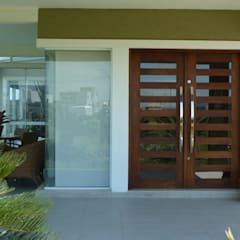 Many double doors are only opened on one side most of the time, with the other section in use only when needed. 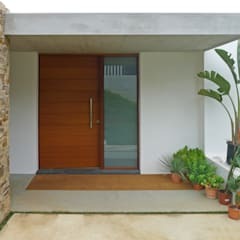 This inviting front door option can allow more light into the room with easy and large entry access. 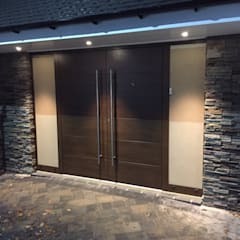 Double Door with Matching Sidelights - Sidelights can also be added to double doors to complement and enhance the grandiose look of the front door, while letting more light in. 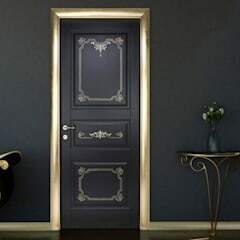 They should be added to both sides of the double door for a symmetrical look. 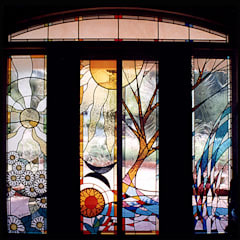 Single Door with Sidelights and Transom - A transom is a window placed over the door as a decorative piece. Similar to sidelights, it expands the front door view and allow more light into the house. 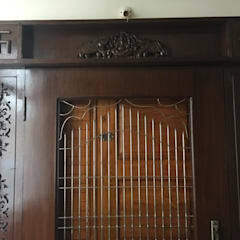 The transom has various decorative styles that comes in different shapes including the rectangular, elliptical and half-round transom. 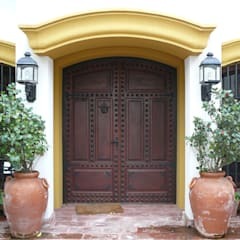 A single door paired with sidelights and transom can be transformed into a rather grand and fancy front door. How Do I Install and Replace Front Doors? 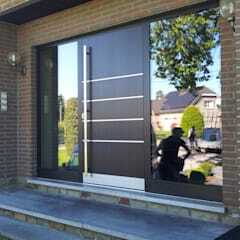 Although you can install your own door replacement, it is still highly advised to leave this process to the experts who has the specialty knowledge and skills. 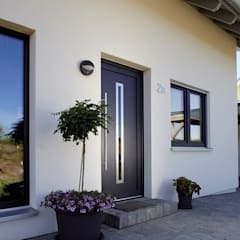 Front door installation in particular is rather complicated, as compared to inside doors, and would generally require up to one week to finish. 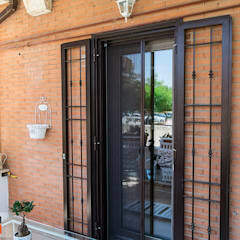 Below are the main steps involved in a door replacement or installation. First, get prepared with all the tools, materials and information needed. Then, measure your old door carefully for dimensions needed to order the new door. 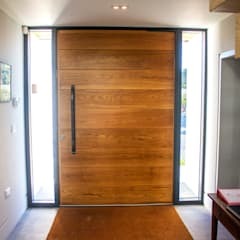 Most homeowners will go with ordering a new door that is the same size of the old door for convenience, since altering the door size would mean a need to modify the opening and other details. 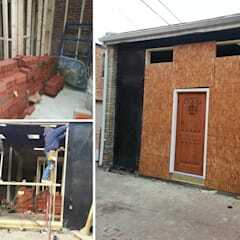 Make sure to obtain measurements on the door size, jamb width, rough opening and exterior opening. Next, you can proceed to tearing out the old door. It is best to tear the door only when you have your new door ready. Start with tapping the hinge pins loose using a hammer and nail set, then open the door and lift it up. Be careful when holding the door as it will be heavy. Then pry the old interior trim loose, in which some people will choose to reuse the trim. Also separate the exterior trim and remove the jambs. Check the framing and subflooring condition in the sill after the door is tore off. Replace the rotten wood if necessary, and install the sill. Add a layer of flashing tape as protection for the sill from water intrusion. Remember to also test whether the door fits and determine if any last changes needs to be made. 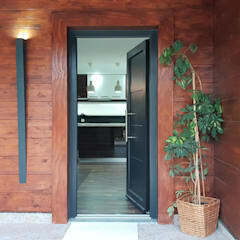 You can then move on the the main step of setting the door. Apply caulk along the sides of the opening and the sill first; do accordingly to the manufacturer’s instruction. 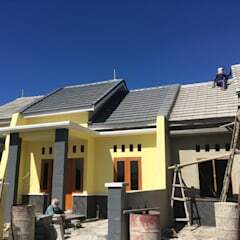 Move the new door to the opening and center the top. Then tack the top in, followed by the bottom corners. Shim both the hinge-side jamb and the latch-side jamb. Finally, finish up by applying foam insulation and caulk around the door frame and install an interior trim. 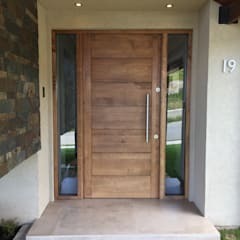 What are the Prices of Front Doors in Canada? 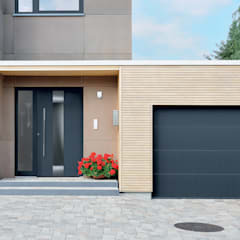 Installing a front door in Canada can typically range from a total cost of $500 to $1300, including both the door fixture cost and installation cost. 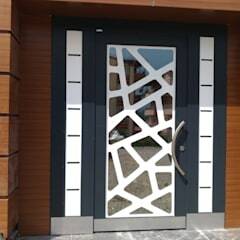 The price will vary depending on the material and quality of your door. 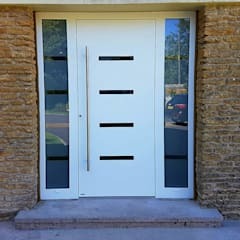 You can find a fiberglass or steel door at around $250 CAD, and a steel fire door at a slightly higher price near $350. 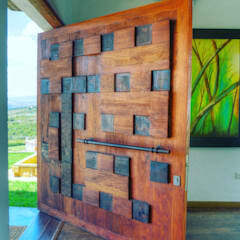 Wooden doors have a great variation in price with different qualities, which can go as low as $200 or as high as $800 and more. How Can I Increase the Security of my Front Door? The front door is indeed a first line of defense for the home, and thus security is a significant concern for homeowners. Other than installing secured deadbolt locks for the door, there are a few other ways that can help decrease the probability of intrusion from the front door. Make sure that the door is made with a sturdy and kick-proof material to start with. 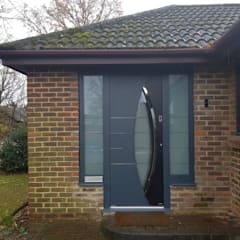 As mentioned earlier, sidelights add to the style and design of the front door, but it may also be a point of breakthrough since glass can be easily smashed, which applies to door windows too. 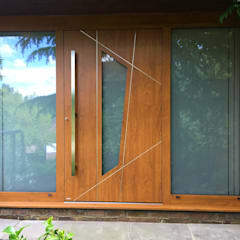 Generally, if the glass area is within arm reach to the lock, it will pose a higher security threat. 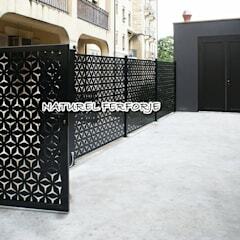 You can also build a secondary protection through installing another door lock, preferably a one-sided deadbolt which can only be accessed from the inside and are very difficult for invaders to bypass.